NiteHawk Pediatric Urgent Care is a pediatric urgent care center serving the children, adolescents and young adults in Wylie with extended hours, making them a great option 7 days a week when your child's primary care office may not be open. You can find this clinic located at 2640 FM 544, Suite 300 and patients can walk in to see them today from 4:00pm to 11:00pm (last verified on 2018-08-10). Recognized favorably amongst their patients, NiteHawk Pediatric Urgent Care has an average rating of 4.9 stars out of 5 based on 543 total ratings. In fact, recent patients have frequently used words such as "bedside manner" and "timeliness" to describe their experience at the clinic. When your kiddo is not feeling well and when your regular pediatrician isn't available, you definitely want to look for positive sentiments from kids and parents who have gone before you. Nationally, most pediatric urgent care patients see average wait times between 15-30 minutes before being seen by a provider, which should be expected at NiteHawk Pediatric Urgent Care as well. If you are looking to learn more about pediatric urgent care including statistics, trends, FAQs and other useful information, check out our blog to empower your knowledge as a healthcare consumer. 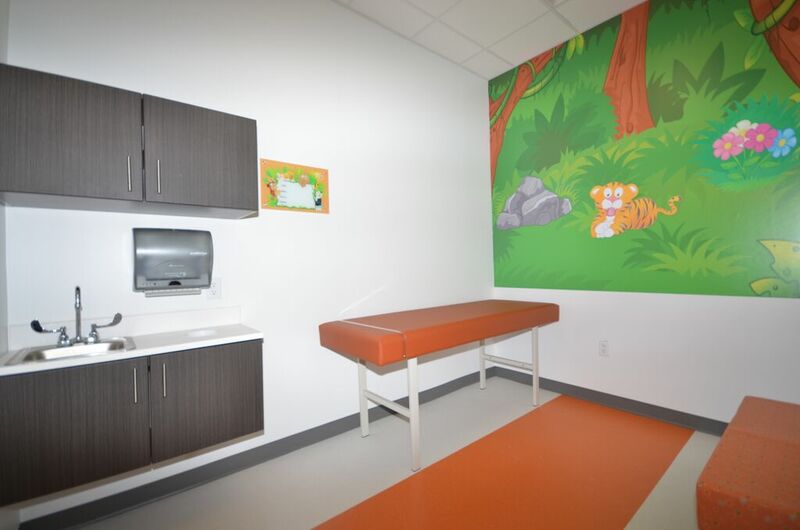 The base price for an office visit at NiteHawk Pediatric Urgent Care is $150 with additional services being an extra charge. Patients typically pay between $20 - $150 for common services. NiteHawk Pediatric Urgent Care accepts many major insurance plans and multiple forms of payment, making it easier to get the affordable care you need. It is always a good idea to contact your insurance company before your visit to ensure the Clinicis in network for the service(s) you're seeking. A little bit of a wait but there was a lot of people so it was expected. Great service and friendliness. It was overall a good experience. Dr. George and Rachel were so sweet and patient with my daughter! The staff was professional and pleasant from check in to check out. Safe Speedy Service! I was even impressed with the skill of the tech. Great service, excellent self pay price, and overall fast wonderful experience! Staff was very helpful and friendly. Dr. was also very sweet. Very clean. I mean, I hope my kiddos don't get sick again anytime soon, but I LOVED this place. Perfect experience from check in thru check out. Front desk was friendly, nurse was positive and helpful and Dr. Lewis was so great. Went above and beyond to take care of my sick one... and even called to follow up on him later than evening. I can't say enough! The wait was unusually long, but only one doctor was on staff. We’ve never had this problem before, so I’m sure it was an unusually busy night. Besides the wait time, everything was perfect. I appreciated the friendly staff and accurate diagnosis. We only use Nite Hawk for our pediatric urgent care. We’ve had excellent experiences nearly every time! We have been here several times and it is always a wonderful experience especially when you have sick kids. The staff was excellent. Very caring, especially the tech we had. She was wonderful. No wait tonight. The office staff, nurse and Dr. George took great care of my daughter. It was great! I got there at 7:44 on Saturday night, when they close at 8 pm. and they still saw my baby and were awesome! We did not have to wait long. Staff was very friendly from the front desk, nusrses, and doctors. Awesome bedside manner. Comforting to know such a great place is open after hours so we don’t have to wait for our regular pediatrician.